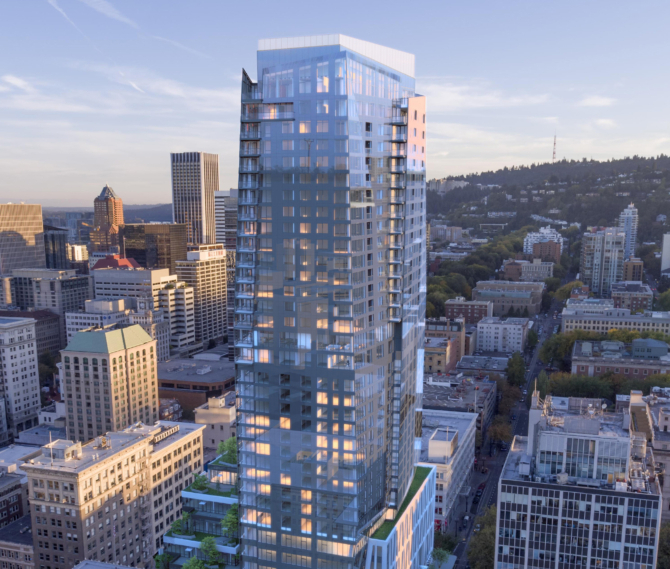 6th + Main is undergoing a new entry experience allowing tenants and visitors to approach the building through a redeveloped plaza that includes new finishes, landscaping, canopies, and outdoor seating. 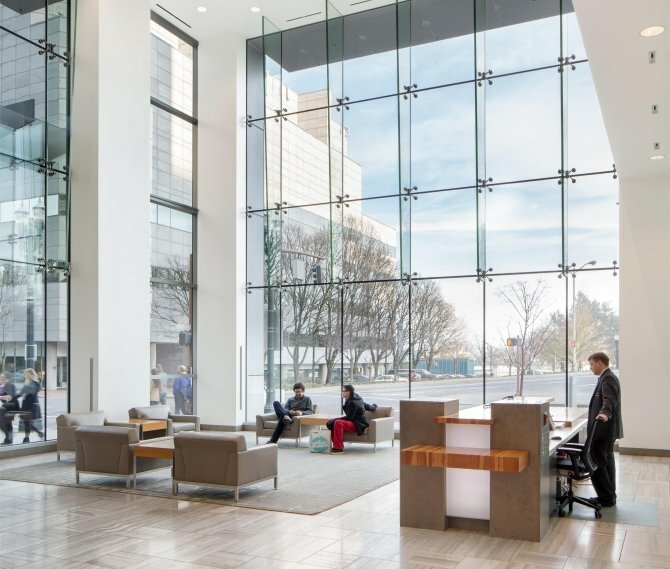 At the plaza level, the buildings existing curtain wall will be replaced with a modern, clear glass glazing system to allow for highly improved visibility and flowing pedestrian movement. 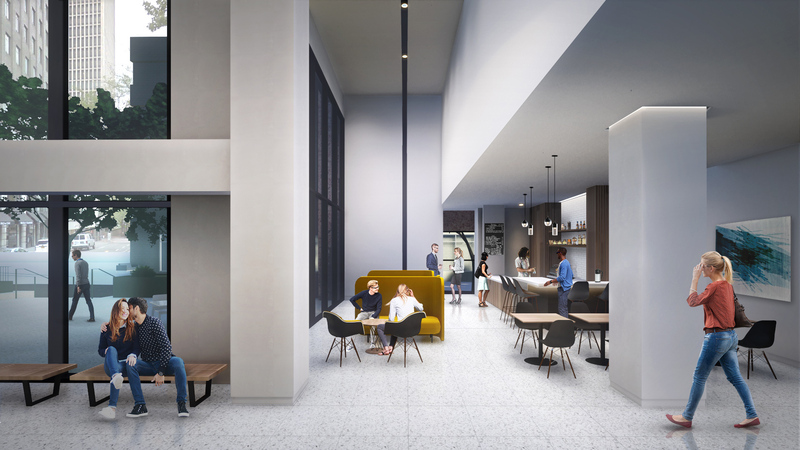 A new double height coffee shop will occupy the north edge of the terrace with large glass sliding doors that open directly to the terrace. 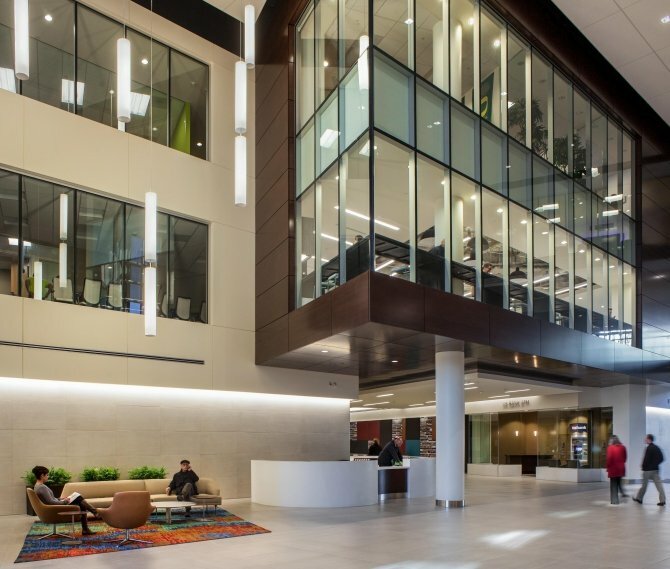 Upon entering the building, occupants will be greeted with a redesigned lobby that offers a beautiful, modern, light filled space, complemented by two story sculptural wood walls and dark metal accents. 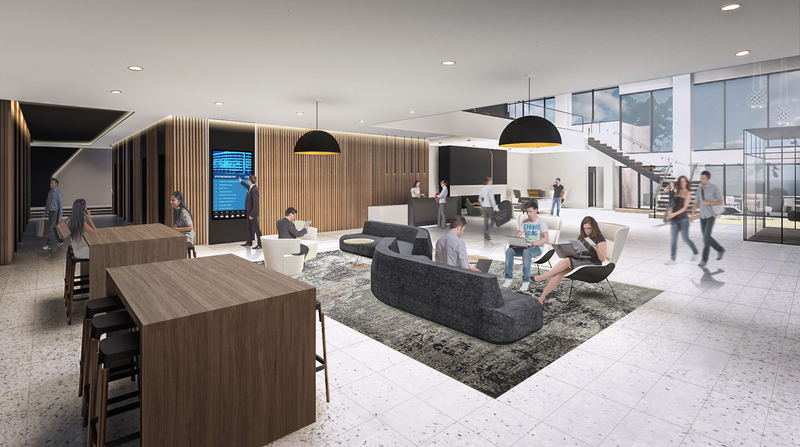 The refreshed lobby will also offer direct connections to a wide array of amenities including a bike hub, fitness room and locker rooms. 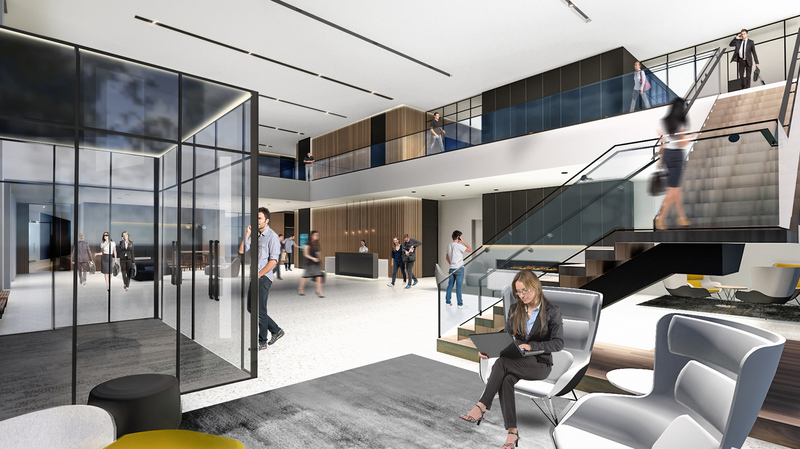 Conveniently located near the main elevator lobby, the well-appointed bike hub (100 stalls) will have direct access through a bike ramp in the loading dock. 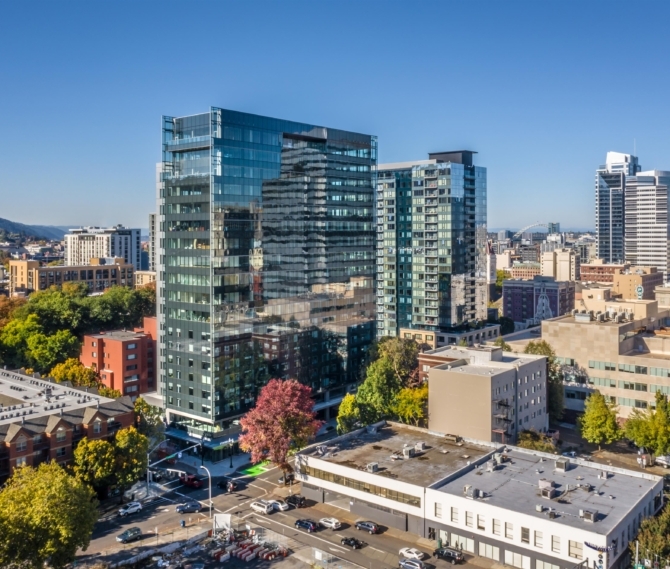 Adjacent to the bike parking room is a new building fitness center with state of the art equipment and spa-like shower facilities. 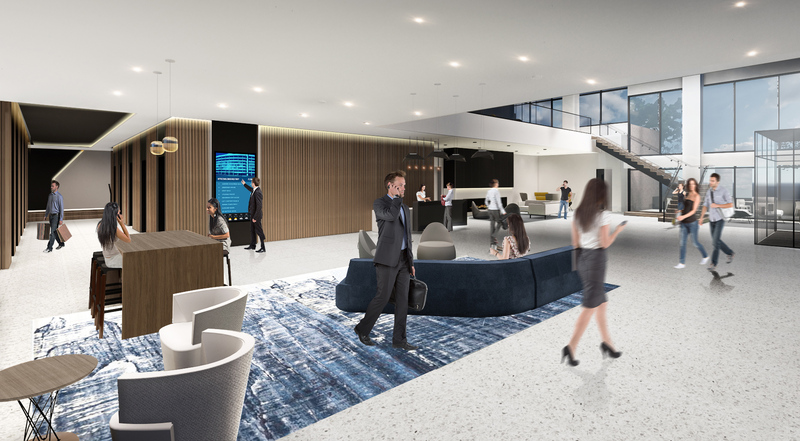 A new connecting stair joins the lobby with a large Amenity lounge on the third floor, housing a conference room, media lounge and bar. Warm wood accents, leather lounge seating and comfortable lighting create a hospitality-inspired atmosphere. 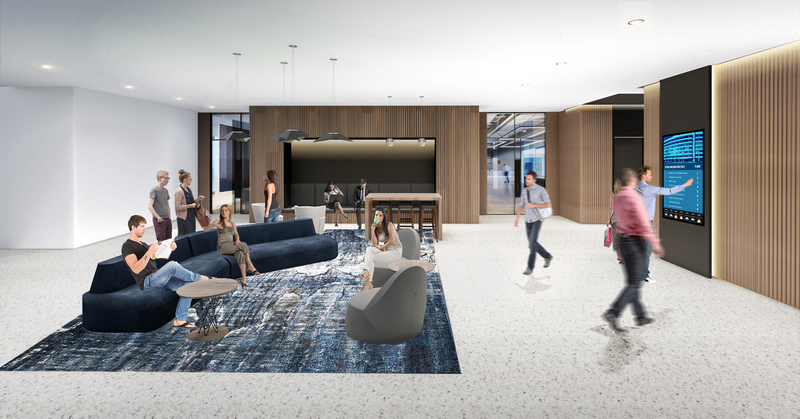 The Amenity lounge culminates with sliding glass doors that flow onto a large roof deck equipped with BBQ stations, fire pit, canopy, and a variety of furniture settings. 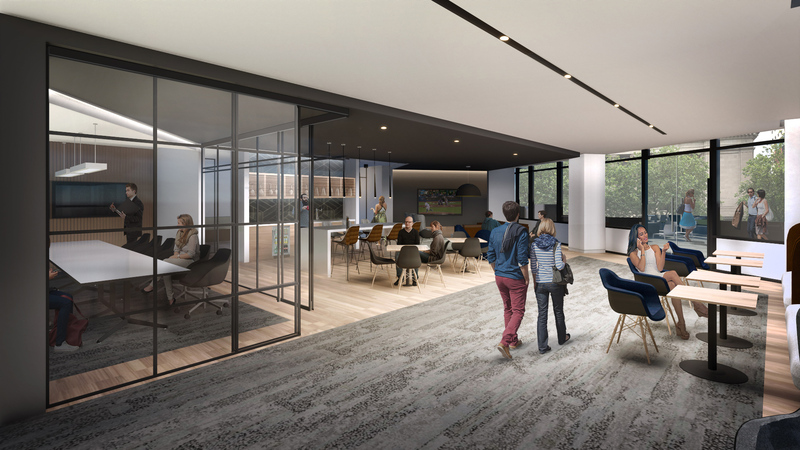 This outdoor space, in conjunction with the amenity lounge, will provide tenants with a truly unique environment to perform work, convene meetings and host social events.